Fairy tale by author Hans Christian Andersen, first published in 1845. 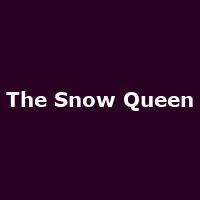 "The wicked Snow Queen smashes her evil mirror and blows the specks and splinters around the world. A piece of the mirror hits young Kay, who the Snow Queen takes to her Ice Palace at the very top of the world. She waits for Kay's heart to turn to ice so her dastardly plan to make winter last forever can be fulfilled."